BEIJING -- "The Message," a period Sino-Japanese spy thriller starring actress Zhou Xun, earned 150 million yuan (US$22 million) in its first 10 days in Chinese theaters, independent film production company Huayi Bros Pictures said Friday. Released across China on 2,000 screens on Sept. 29 after a 13-city press tour, "The Message" will close the ongoing Pusan International Film Festival in South Korea on Oct. 16. The film, co-directed by Taiwan screenwriter Chen Kuo-fu ("Double Vision") and China's Gao Qunshu and made for $10 million, will be distributed in Taiwan by Disney and the Emperor Group in Hong Kong. Set in Japanese-occupied Nanjing during WWII, "The Message" also has sold to Skycity in New Zealand, to Pt. Teguh Bakti Mandiri in Indonesia, to Scorpio East Pictures for Singapore and Malaysia, and to an as yet named distributor in Thailand, Huayi said. 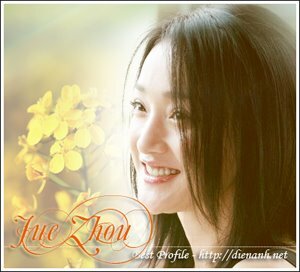 Zhou previously starred in the 2008 hit "Painted Skin" and is best known outside Asia for her roles in films such as "The Emperor and the Assassin," (1998), "Suzhou River" (2000) and "Balzac and the Little Chinese Seamstress" (2002). "The Message" also stars Zhang Hanyu, the male lead in the 2007 PIFF opener "Assembly," also from Huayi, actress Li Bingbing ("The Forbidden Kingdom") and actor Huang Xiaoming ("The Sniper").